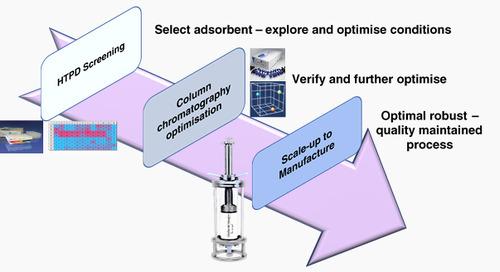 Our goal is to provide you with a fully validated bespoke chromatography adsorbent and all the associated process conditions for purification of your target biomolecule. impurities to be removed. 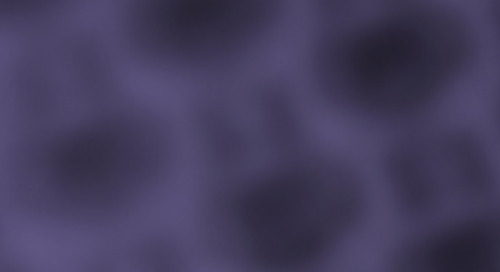 Typical assays developed include ELISA, SDS-PAGE, HPLC, total protein and functional activity assays. 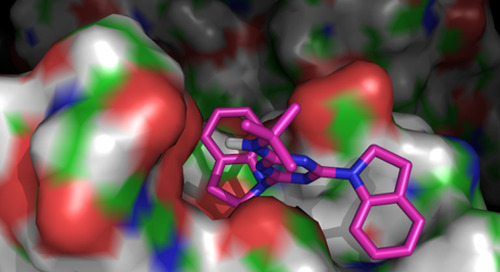 screening to help identify possible sites for ligand binding and potential ligand structures. Library CCL® containing over 100,000 triazine based compounds to provide a focused library for initial screening Focused design based on ligands showing early “activity” against a target. Option 3 - No prior knowledge of receptor or binding ligands: Selection of binding ligands by screening general ligand libraries comprising diverse ligand structures distributed across a broad region of chemical space. 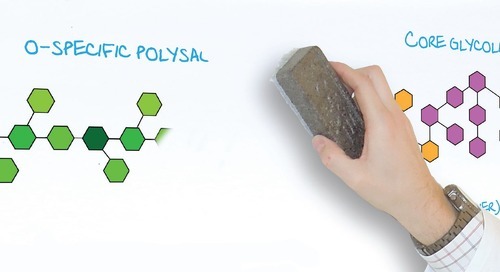 Adsorbents synthesized in library format (PuraPlate™ 96 column block) with ligand structures identified from initial design/virtual screening studies. High throughput evaluation of existing general ligand libraries and newly designed libraries. Non-bound, wash, elution and CIP procedures investigated. Scale-up synthesis and verification chromatography of lead candidates (identified during library screening). Performed using automated chromatography workstations and packed columns with initial investigation of non-bound, wash, elution and CIP steps. Attachment chemistry (e.g. spacer arms). Optimization of adsorbent manufacture and production of written methods in readiness for transfer to PBL’s manufacturing facility. performed as part of this work. 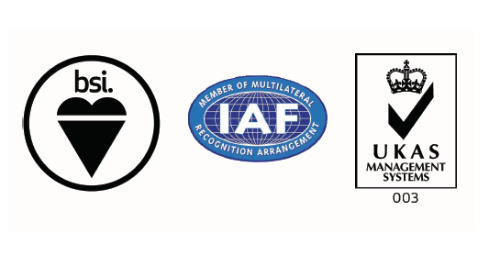 A validation plan and summary report will be produced as a part of this activity. 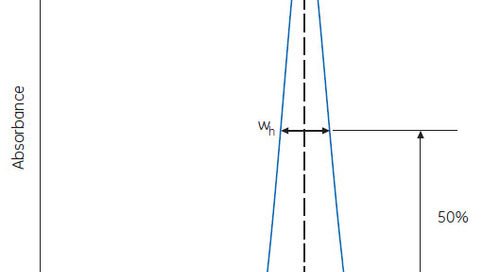 a) LIGAND LEAKAGE STUDY - Including a forced degradation study under extreme conditions. b) STABILITY TRIALS - Under a range of normal and extreme conditions, up to one year duration. c) TOXICOLOGY STUDIES - MTD in vivo and Standard WHO AMES tests. All trademarks, trade names, trade dress, product names and logos appearing on this website are the property of Prometic Bioseparations Ltd. If you found this article useful, why not contact us to arrange a technical presentation? 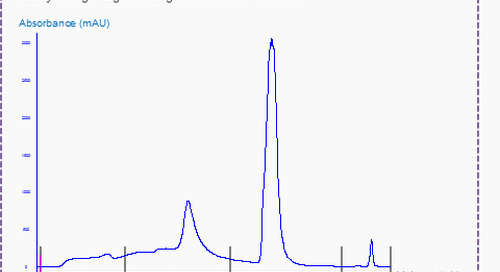 How to determine the dynamic binding capacity of a chromatography adsorbent. Visualise the features and advantages of our pre-packed, disposable technology - the EvolveD™ column range. 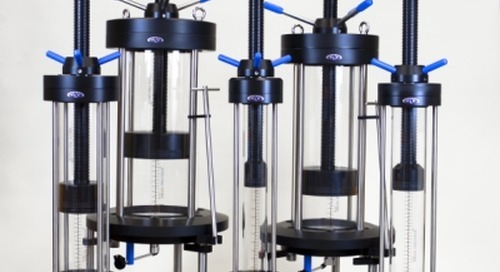 A scale-down reuse study was performed on an automated chromatography workstation using a 2 mL IsoClear B™ column challenged with 50 CV of plasma per cycle. 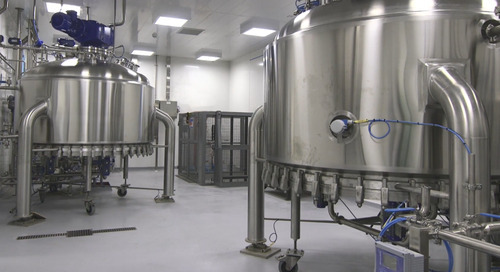 At Prometic Bioseparations we put product quality first and have committed to become the first chromatography adsorbent manufacturer to achieve full GMP compliance! 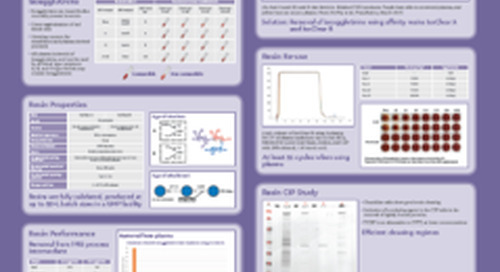 Visualise our Multi-Mode Ligand Library through this infographic. 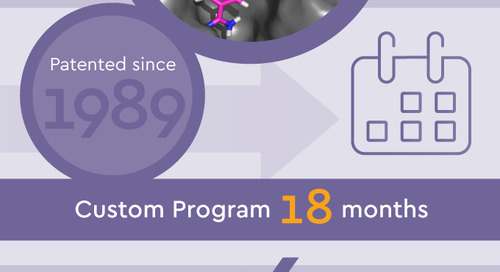 An 18 month custom programme patented since 1989. Visualise how EtoxiClear™ - our high performance, non-ion-exchange, synthetic affinity chromatography adsorbent can help you with Endotoxin removal. 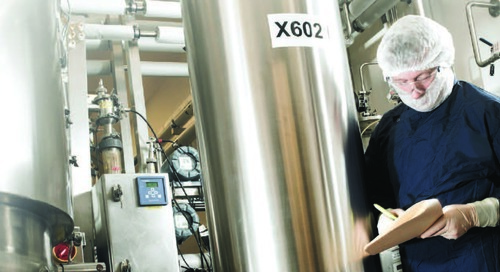 Prometic Bioseparations has been manufacturing chromatography adsorbents on the Isle of Man since 1989. In this article we will update you on the expansion of our adsorbent manufacturing capacity. In response to demand we have developed an affinity adsorbent for the capture and purification of antibody fragments. 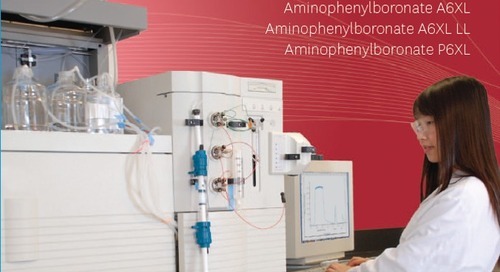 Is it really cost effective to develop a custom affinity ligand as a capture step in your downstream process? 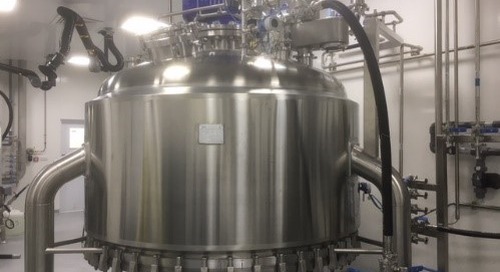 We offer an extensive range of off-the-shelf Bioseparation products for the recovery and purification of biologicals as well as purification services including bespoke custom designed chromatography. 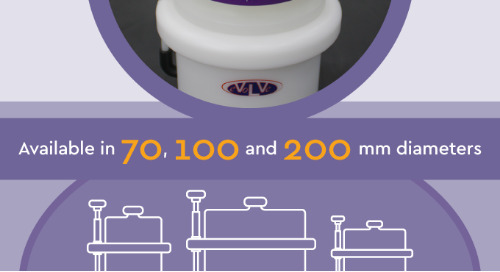 User friendly and ergonomic; performance is comparable to more expensive columns and the single use aspect compares well to lengthy cleaning cycles. EtoxiClear™ has been shown to provide >3.4 log clearance of endotoxin from Fab fragments from an E. coli cell lysate, as well as from proteins such as IgG and HSA. A number of methods have been adopted for the removal of endotoxin based on adsorption, in particular ion-exchange chromatography. In this application note we describe how human serum albumin is captured and purified from human source plasma using Mimetic Blue® SA HL P6XL. 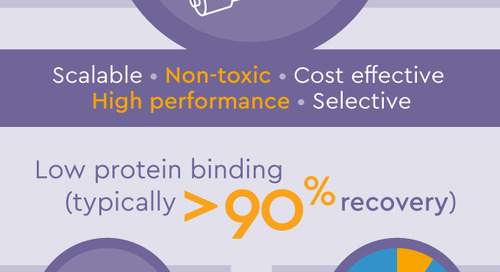 Capture and purification of recombinant albumin-fusion proteins using AlbuPure®. 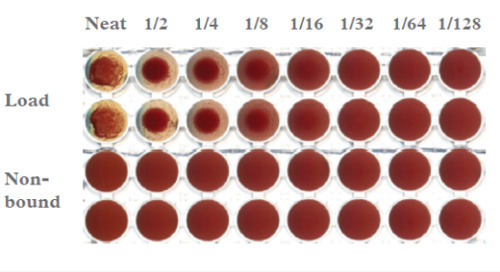 AlbuPure® can be used to capture and purify recombinant albumin-fusion proteins from cell culture supernatants with high purity and recovery. Endotoxin Removal from Bench to Process Scale. Endotoxin or lipopolysaccharides (LPS) are highly toxic components of the cell wall of Gram-negative bacteria and are often present in significant amounts in bacterial cell expression systems. Review useful insights and data highlighting the importance of protein glycosylation in Biopharmaceuticals.